Dying Without A Will in WV – West Virginia Senior Legal Aid, Inc.
Who inherits from you if you die without a will? 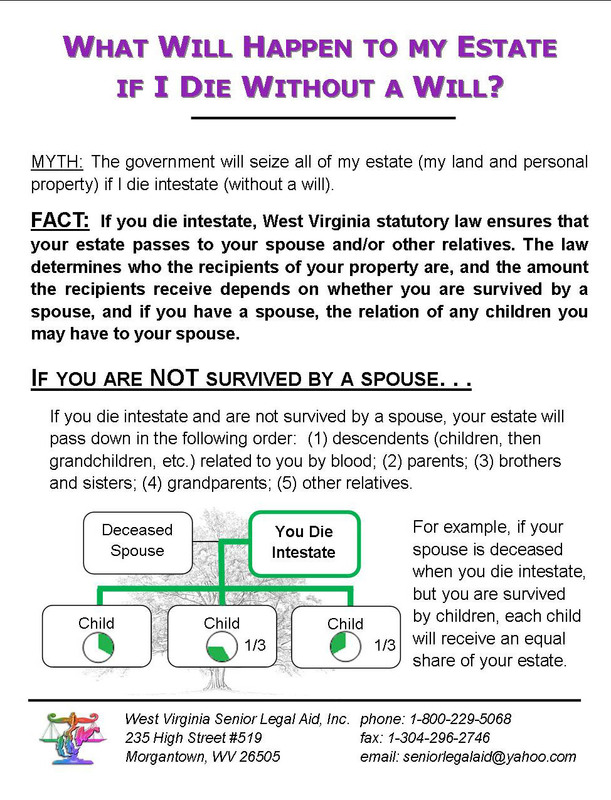 If you die intestate, West Virginia statutory law ensures that your estate passes to your spouse and/or other relatives. The law determines who the recipients of your property are, and the amount the recipients receive depends on whether you are survived by a spouse, and if you have a spouse, the relation of any children you may have to your spouse. Download this pamphlet in .pdf format, designed to be printed on both sides of a legal size piece of paper.